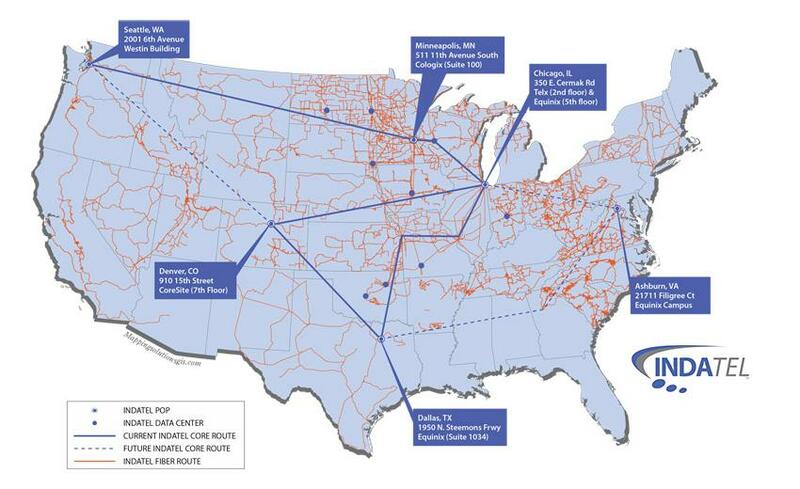 Our 4,000 mile state-of-the-art 100G high-speed fiber network provides unsurpassable network connectivity and infrastructure to Kansas and surrounding states. 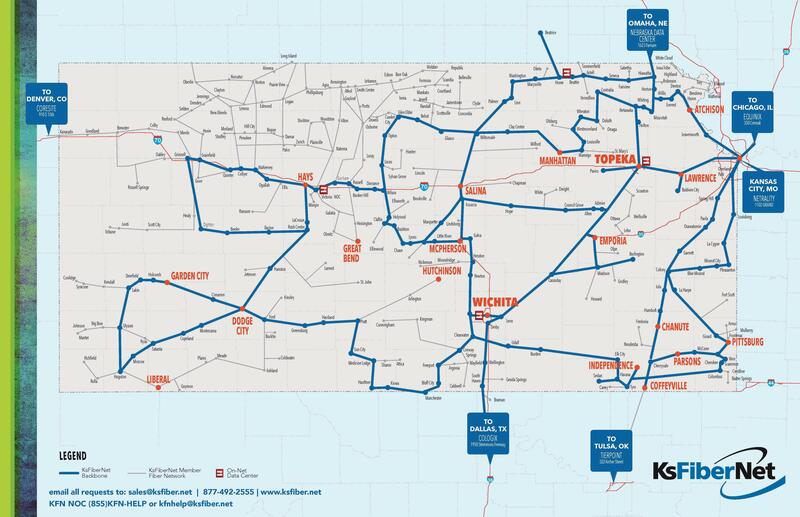 KsFiberNet is continually improving our connectivity map by weaving the lines of communication throughout Kansas. We have laid countless miles of fiber optic cable so rural and urban communities can connect across Kansas and with the nation. Partnering with local access providers allows us to provide an unrivaled reach throughout Kansas and surrounding states. KsFiberNet provides reliable, flexible Ethernet and transport long haul, dedicated internet access, and wireless backhaul across the state on our 4,000-plus-mile backbone fiber network. KsFiberNet operates a 100G statewide backbone for wholesale and enterprise customers and offers the best Ethernet coverage of any carrier in Kansas. KsFiberNet is a proud member of INDATEL — a nationwide network of state networks that provide superior fiber connectivity to rural and urban America. Together, KsFiberNet and other INDATEL members and affiliates ensure that rural Americans receive secure, reliable connectivity at competitive rates.